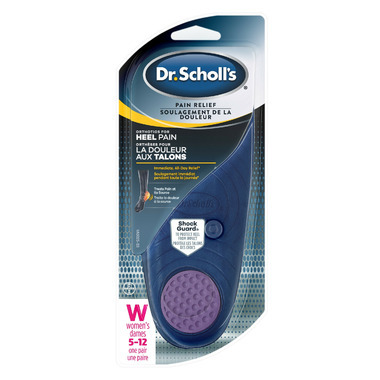 Dr. Scholl’s® Heel Pain Relief Orthotics provide you with immediate, all-day, clinically proven heel pain relief. Support the foot arch and can provide relief from plantar fasciitis and heel spurs. Specially designed with soft foam to absorb shock. Built with a cupping design that supports the heel's natural padding. Convenient 3/4 length design to fit easily into most shoes. Very effective for alleviating heel pain.